“A few years back Pasiya Pasiya (a hot slimy semi-liquid water from cooked rice) with tamarind and a pinch of salt was our lunch and dinner”, recalls Butki. 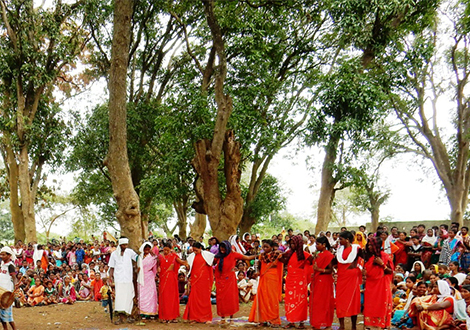 Madarkonta village of Bastar is at the heart of the “Red Corridor” in India. This is the village of the culturally rich and colorful Bison Horn Maria tribe. The tribe wears a headgear made out of the horn of bison, during festivities and rituals; hence the name. Dancing and singing form an intrinsic part of their lives. However, in these tribal hinterlands, life is far from easy; development has largely bypassed this place. The village was cut off from the rest of the world during monsoons as the only earthen road was washed away in the rains. The demand for concrete road, over the years, had fallen to deaf ears. In this rain-fed region, subsistence agriculture ensured food security for a few months only. Non Timber Forest Produce (NTFP) collection also provided sporadic supplementary income. Distress migration to urban centres to work at construction sites in the states of Andhra Pradesh, Telengana and Tamil Nadu was high. 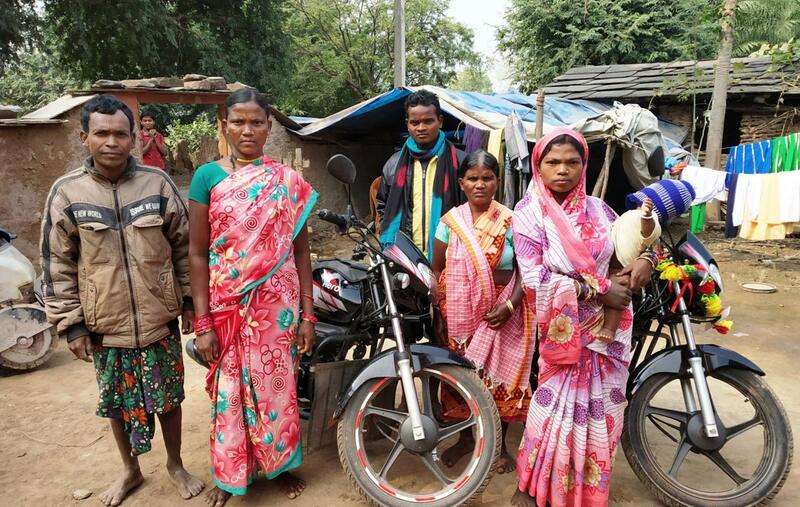 In the year 2014, PRADAN’s team based in Bastar district of Chhattisgarh state initiated work in Madarkonta, home to 59 households. As the first step towards collectivizing the community around saving and credit, Self Help Groups (SHGs) were formed. There are four SHGs in the village today reaching out to 44 households. The potential to grow creepers was immediately visible in the terrain with spacious upland. But, no one was willing to switch from their traditional practice of maize cultivation to a different mode of agricultural production system. 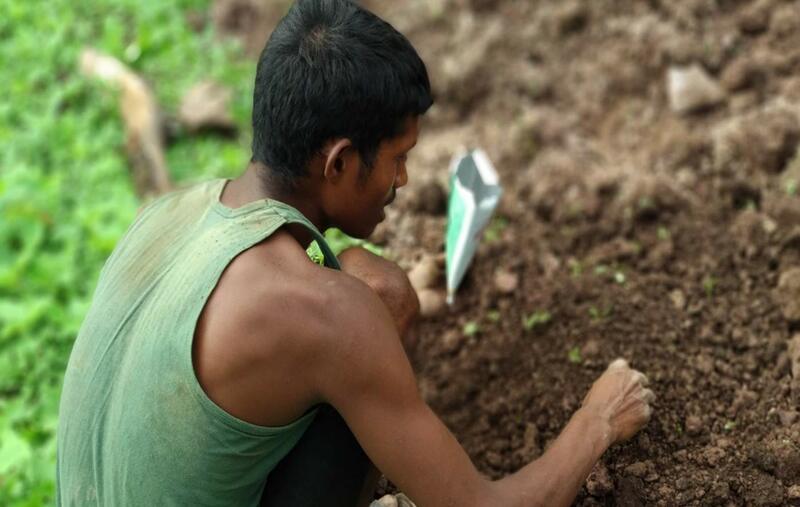 Maniram, a school dropout, agreed to undergo training in advanced agricultural techniques in the district headquarters, facilitated by the professionals of PRADAN. “It opened my eyes. There was so much we could do from our existing resources in the village! We needed to work not only hard but smart”, reflects Maniram now. The entire village gathered as Maniram and his family dug the ground and erected trellis for bitter gourd. Curious neighbors had many queries, some even helped in the structure erection. It seemed a day of Mela or Mandai (cultural gathering) in the village. He earned Rs 29,000 ($ 414), selling his produce at the local market that Kharif season, from 0.2 acres of upland against an investment of just Rs 2,700 ($ 38). That sparked off a critical change and the number of families taking up cash crop cultivation swelled in the subsequent years. By 2018, the entire village was engaged in trellis farming and had diversified into multiple crops, using advanced agricultural techniques. Every backyard plot erected a maze of trellis structure. 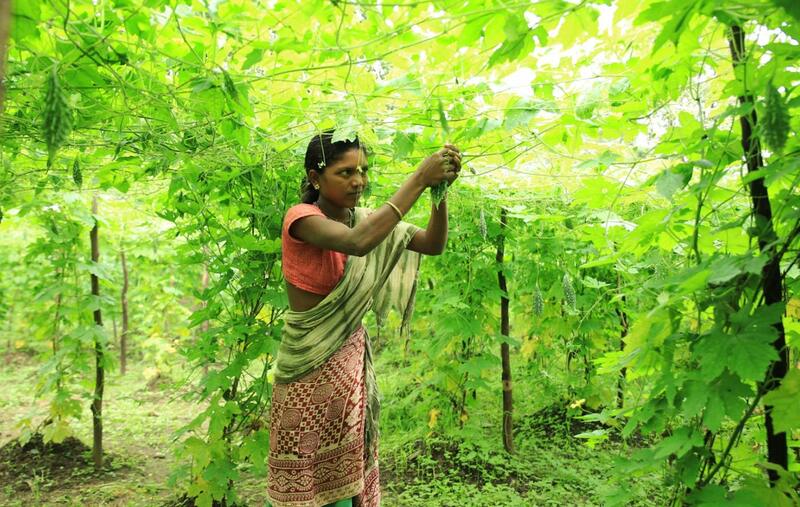 Apart from creepers, 23 families today are intensively engaged in large-scale vegetable cultivation. Last year (2018), Bijjo sold bitter gourd and long yard beans worth more than Rs 50,000 ($ 713). She has lost count of the quantity distributed to friends from neighboring villages and relatives. It has been three years since Butki has been engaged in vegetable cultivation; she now applies new agricultural practices in her maize crop. Other women have also diversified to vegetable crops like cauliflower, ridge gourd and brinjal. 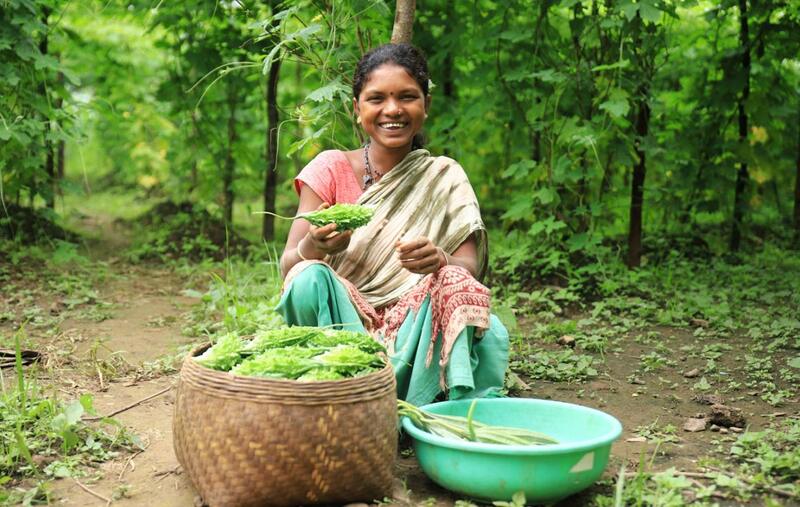 “I sold my farm produce for Rs 75,000 ($ 1070) last year!” Butki beams. She points to a freshly constructed house. A shining new motor cycle proudly stands there. “Women’s Samitis (SHGs) have changed this village”, she says with a tinge of pride. “The colour of our food plate has changed now and it regularly includes pulses and vegetables”, exclaims her mother-in-law Budri. 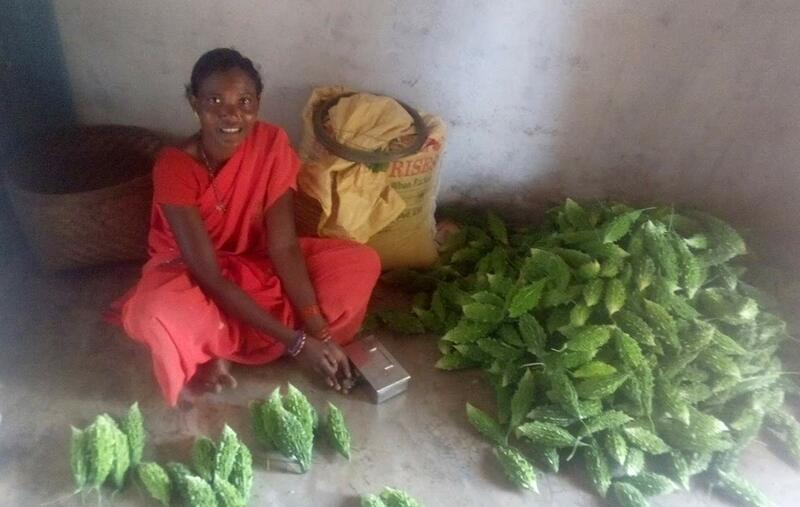 The Lal Pungar SHG, of which she is a part, has 12 members and has done business of about Rs 3.55 lakh ($ 5,068) selling bitter gourd and other vegetables. This translates to an average of, about Rs 30,000 ($ 428) per household in one season; a significant amount in these parts where most families are below the official Below Poverty Line (BPL)*. 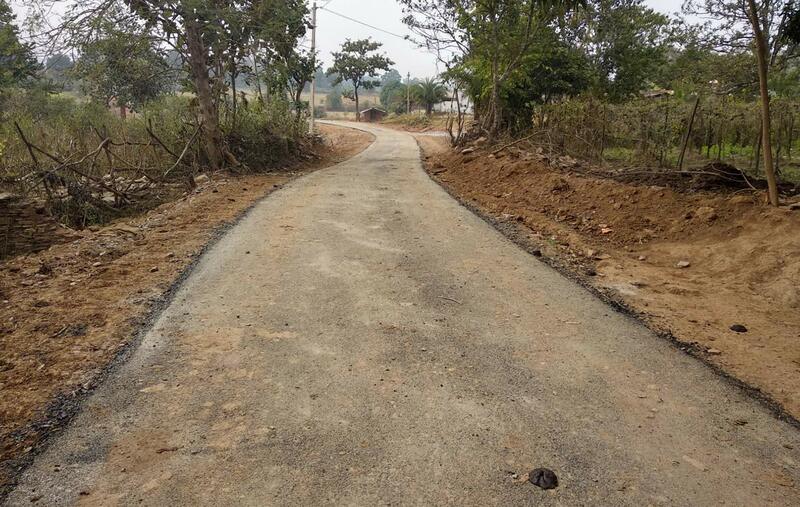 In the process, the assurances converted into concrete action: a new road is finally being constructed! The village, in probably the remotest pocket of India, is a standing example of the latent vibrancy and potential of rural India. The Bison Horn Maria tribe in Madarkonta village just needed a small opening- collectivizing, growing bitter gourd and vegetables through new agricultural practices, to create a better future for their village. With a little more support and better opportunities, communities can change their own destiny and perhaps that of India too. * Rs 27 ($ 0.4) per day per head is the cut off for the official poverty line in India.